Housed in a hand made cd sleeve, enclosed in a hand made outer cover, pro art postcard, and printed disc. Each copy contains 2 / 3 incense sticks. Comes in a limited edition of 50 copies. Release contains 5 Untitled pieces. Cuidad Juárez, Mexico, is a city with a murderous reputation. The war between rival drug cartels and the police made it, until recently, the homicide capital of the world. Life is tough for a civilian just trying to raise a family. I’m sure you can imagine that if you found yourself in that situation you would need a means of catharsis, a way of making sense of it all. Well, my friend Miguel Pérez lives there and he escapes through noise. A background in the metal scene of the 90s taught him musicianship – he is an exceptional guitarist – but it was his discovery of noise and improv that set him free. A Stakhanovite work rate has led to dozens of releases under several pseudonyms, mainly through the netlabel Oracle he co-runs with Pablo Mejia, a noise artist based in the Dominican Republic. I came to his work via the Culver-esque roars of La Mancha Del Pecado but my favourite of his projects is the solo, acoustic guitar of The Skull Mask. These improvised, psychedelic ragas are influenced by ritual music from around the world, including the shamanistic tradition of his native country, filtered through his own experiences of the Mexican wilderness. It is beautiful, compelling, raw, ego dissolving stuff. 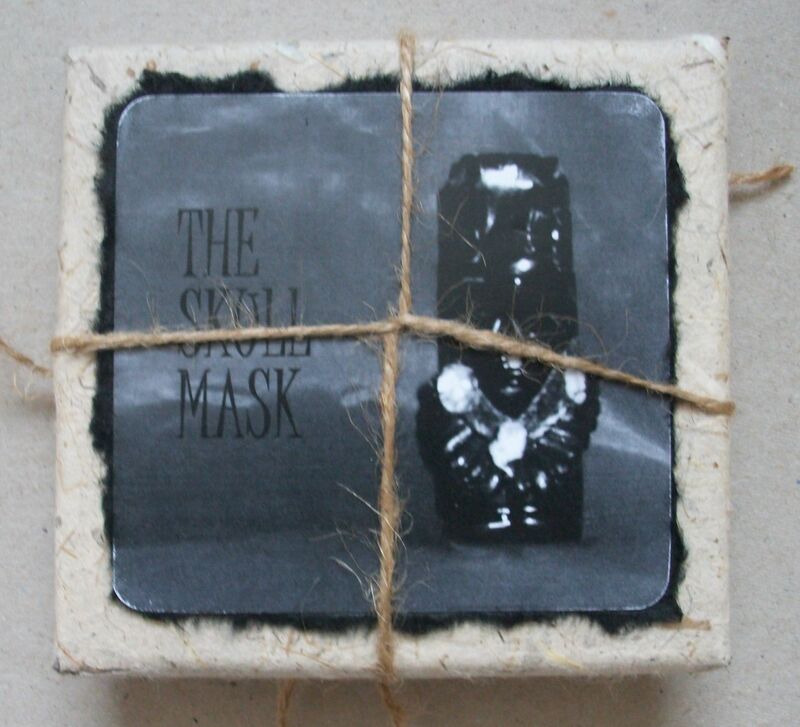 To listen to The Skull Mask is to stand facing the hot, abrasive desert wind. Rob H, Leeds, UK, August 2012. This is heroic stuff, recorded simply and cheaply with a red-raw honesty (occasionally a ‘chk-chk-chk’ noise can be heard high in the right channel, no doubt an artefact of the recording, but it stands in for the cicadas of Miguel’s beloved Mexican wilderness and inadvertently adds to the heat-haze atmosphere). Miguel was amused to see this described as ‘bluesy’ in Vital Weekly but during Part Three, the epic nine minute centrepiece, it isn’t hard to imagine him standing at the crossroads, his loose-fingered raga whipping the desert dust into strange, dancing anthropomorphic shapes. The pieces either side illustrate the expressive power of Miguel’s technique: sore-eyed from the campfire or crackling and mysterious or solemn and contemplative. In isolating these moods Andy has given us a new way of appreciating the rolling whole. He has somehow managed to carve smoke. An essential purchase, obviously. What’s more, many of the creams these brands have actually put forth are made up natural components which not just have quicker effects on armpit darkening, but likewise make it better with their advantages. This entry was posted on September 8, 2012 at 12:01 pm and is filed under Striate Cortex Releases.You can follow any responses to this entry through the RSS 2.0 feed.You can leave a response, or trackback from your own site.